Our funding partners often come up with invoice finance offers and discounts to try and attract new clients. We have had one offering from one or our partners who is willing to offer a pricing discount to just a handful of new customers each month, in order to help get them across the line and onto their book as clients. This offer hasn't been added to our list at this time as we have only just heard about it, and it's very limited in terms of numbers so don't delay if you are interested. There's no exact metric behind the level of pricing discount that they are going to be offering, but it costs you nothing to find out what they can do in your case. 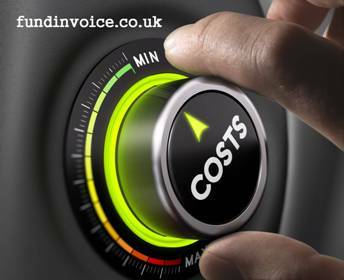 The offer is on a first come, first served basis - so if you are looking for cheap invoice finance please get in touch with us and we will see if they can come up with an attractive pricing quote for you. If you are unable to qualify for this offer, there are still plenty of great invoice finance prices available at the moment. We can check the market for you and find out what kind of price you can get. Even if you are already using a provider, we will happily see what savings are available and it's up to you if you take that forward and move to the new provider. It's a good time to have a look around as there are plenty of providers, contacting us each week, looking to boost their number of new clients. With this comes a willingness to offer cheaper rates, which is only going to be good for our clients. We have found some really cheap deals for clients recently, so now is a good time to check prices and see how much you can save. When we have looked at the savings found for clients in the past, we have found companies savings, on average, of 34% of the cost quoted elsewhere.